Over the past few years, my posts have admittedly gone very much in fits and spurts. A large reason for this is that I entered into a wine education spiral. I’ve already written a few posts about my journey through the crazy world of wine certifications including the CMS Certified Exam, the WSET Advanced Level, and some wine exam tips for both. This post will be about the next phase of my journey—the WSET Diploma—so disclaimer, be warned that this post is aimed at the wine geeks out there that are thinking of tackling the Diploma. 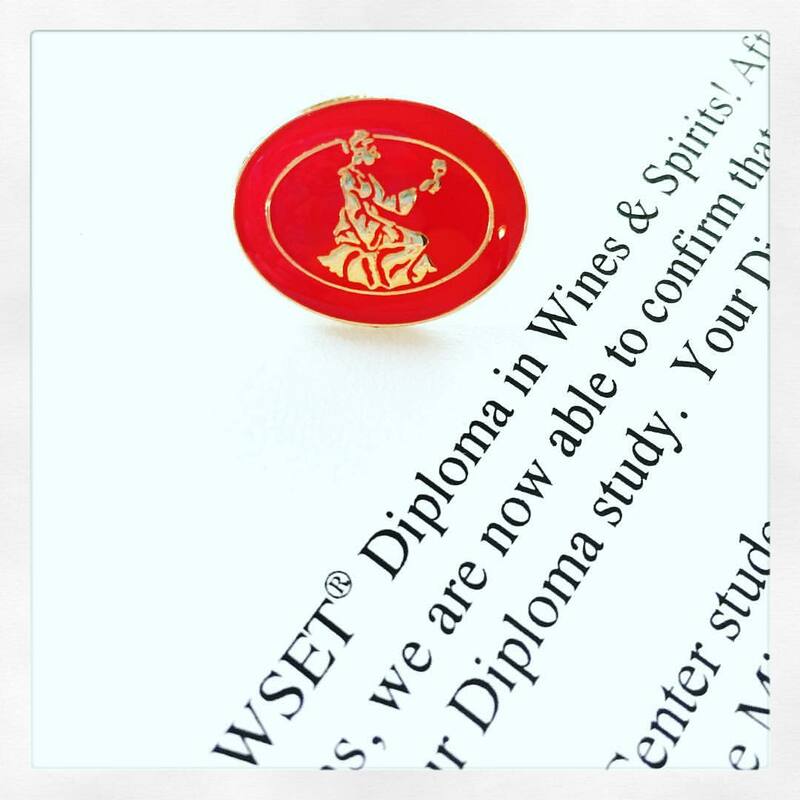 Pretty much as soon as I wrapped up the WSET Advanced in 2013, I started working on the Diploma. I can now enthusiastically tell you that I have completed this part of my wine journey, which I completed at the International Wine Center in New York. (Note that all in-class specifics I give is based on their formats. I can’t speak to how other branches structure their classes.) I knew when I started down this path, that the Diploma was no small undertaking, but frankly it was an even bigger mountain to climb than I’d expected. I say this only as a word of warning, as I did find this all consuming for large portions of time—and I had no illusions that it would be a cakewalk to start with. It’s also very easy for life to get in the way. I have many friends who for one very understandable and completely legitimate reason or another have gotten derailed in the process and it often takes much longer than expected for those who choose to see it through. It’s good to take this into consideration when taking on this challenge and expense. That said, it’s of course doable and I write this to serve as a guide of what to expect and hopefully to be helpful to those wine students that find this, since I would have loved to have a primer for what to expect going to into it. Unit 2 is a multiple-choice exam on all things viticulture and viniculture. This exam shouldn’t be underestimated just because it’s on scantron—this was one of the trickiest multiple-choice exams I’ve taken. Questions are phrased in particularly confusing ways, combined with a lot of “A,B,C, and not D,” “B and C,” and “B,C,D, but not A” options. Process of elimination isn’t going to get you very far on this one and you will need decent mastery of the information. For Unit 1 you have to write two papers. One is an in-class, closed-book exam. It’s a case study in form. You are given a topic to research ahead of time and you're then given a more specific question (which usually has multiple parts) at exam time, which is written under timed conditions. I found that time constraint to be the biggest challenge here. It’s definitely tough to get thoughts organized into arguments and written on the page within the time limit. My hand nearly fell from writing. I tried to be organized and do an outline, etc, but frankly I was still trying to get too much out on the paper. In the end, I completely ran out of time and had to rush to throw together the last bit. You’d probably do better to pick a few of your best argument/facts/stats (and they love stats!) for each section of the question and make sure you hit them. Leave yourself a little room in between sections and if you have more time you can go back and add on. The second half of the unit is an at home course-work paper. It does not have to be completed at the time you take the class. You can write it anytime within your diploma time frame. Two topics are issued every year—one for the spring and one for the fall. The topics are not interchangeable for the two time periods. When you see a topic that’s interesting to you (or when you decide writing the paper fits into your schedule best), you declare your intent to write the paper, are given further guidelines, and then turn it in on the given deadline date. There’s a 3,000 word limit, which isn’t all that long. As we can see here, I tend to be kind of wordy, so my biggest struggle with this paper was sticking to the limit. My first draft was more than twice the limit and I had to cut it down from there. I do not recommend this approach. To be honest, I probably over-worked on this one in an unnecessary way. I know quite a few people who did well on this with a lot less stress. It’s partly that I ended up finding the topic of my paper (the renaissance of gin) really interesting—more so than I’d expected—and could’ve written a full term paper on the subject. All of this is to say that there probably was a more streamlined and efficient way to attack the paper writing process. For units 4 – 6, you have to hit a score of 55% to pass, and if you get less you have resit the entire exam. You get a little more leeway in unit 3 because it’s a doozy. In this unit you can pass one section but fail another, and you get to keep the piece you pass and only have to retake the section you failed. More tips for these units follow. You can take most of the classes in any order you want. You’re supposed to take Unit 2 first, and it is recommended that you take Unit 1 next, but beyond that you can take the rest of the units in the order that suits you best. You might want to given some consideration and employ some strategy in how you combine them. It can be really easy to bite off more than you can chew at once in this process, so I would really recommend taking this one step at a time. I was very happy with the order in which I took them. After the first couple of units, I took units 5 & 6. These are each offered as daylong classes in which you get a review of the material and an introduction to tasting the wines. You then get several weeks to study before the exam date, which is typically on the same day. If you want to double up at any point to get things over with more quickly, I recommend doing it with these two as the amount of information you have to take in and retain is the most manageable as a combined set. Next up, I took unit 4, which is a multi-week course. (It meets once a week for 7 sessions.) I didn’t have much in-depth experience with studying spirits prior to this class, so for me this was a lot like learning a new language—much like when I first started studying wines under these more academic conditions. For this reason, I really wanted to take this unit on its own. There is also a lot of detailed technical information to know. That said, I also found this unit to be really interesting and a lot of fun. If you have a strong background in spirits, I can see combing this with either unit 5 or 6. Then there was unit 3. Oy vey. All of the units are a lot of work, but all the units I’ve talked about so far are actually decently manageable. Unit 3 is kind of a behemoth by comparison. There’s just soooo much material to cover. I really recommend taking this on it's own. Some people prefer to get this over right away after Units 2 and 1, but I think I might have found it overwhelming and it potentially could have put me off from going through with the rest of the program. Instead, I found taking all the other units first served as bit of a training ground to get used to the exam format and to get a little more comfortable before taking on the most stressful of the bunch. Plus, by the time I got to Unit 3, most of the Diploma mountain had been climbed—a lot of time and money had already been spent—so I would have taken the exam again if I’d failed. By that point, I was all in and was going to get it done one way or another. All of this said, the bigger thing to consider in the order in which you take the units is really what’s going on in your life when the classes are offered. Take Unit 3 when you can clear the most time and headspace to dedicate to it. I will also quickly mention that the units are available in traditional class and online formats. I took them all in the traditional format. The online versions are a little cheaper, so if you want to save some money I’d say that Units 1 and 2 are the two you’re missing out on the least by taking them online. On the flip side, I have to say that it was during these units that I formed the core of the study group that I held onto through most of my process. As I mentioned, you can do the at-home paper at any point in the journey. I left mine for the end. They’ll often tell you not to do this because some people will end up just letting it go even after everything else is done, procrastinating it away so that the completion of their diploma remains in a state of limbo. In my case, I did look in on the topics every term, but nothing caught my fancy. Once I’d gotten to the point that everything else was done, I just decided to get it done regardless of the topic. The topic for that fall dealt with the history and renaissance of gin, like I mentioned, and as it turned out, I ended up finding the history of gin really, really interesting. Plus, by the time I was done with Unit 3, I was not about to let 3,000 words (as hard as I worked to cut them down) stand between me and my Diploma pin. It also seemed to me that this would be the easiest piece to complete should circumstances in my life change, such as if we were to move, etc, so I figured it best to make sure everything else was completed as soon as possible. And as fate would have it, I turned in my paper the day we moved from New York. In the end, you know yourself and your motivations, so attack the process in a way that will serve you best. I covered most of my tasting study techniques in Q&A: Wine Exam Tips and to be honest the basics didn’t change. I will only stress again that a tasting group is invaluable. I couldn’t have done it without my tasting group/study group. 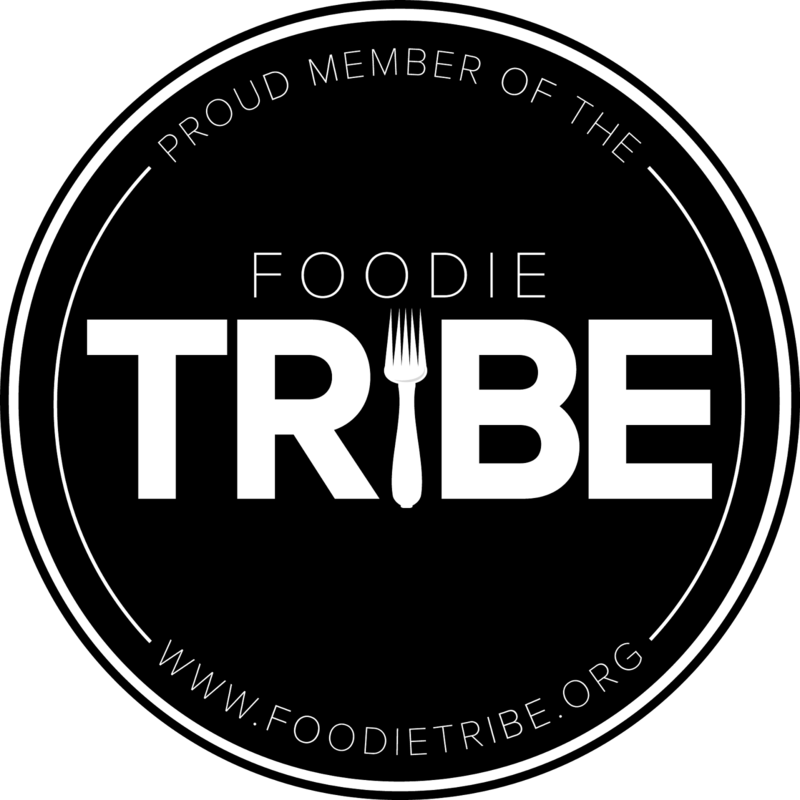 It’s incredibly helpful to have a group of people that are tasting in the same way and for the same purposes as you are, and it helps defray the costs of tasting practice, which is no small thing since you have to taste widely. You have to taste, taste, taste and then taste some more. Blind and non-blind. Set up comparison tastings between similar regions and wine varietals, and to see how wine varietals show in different areas and/or with different production techniques. The back of the Unit 3 Study Guide actually makes helpful suggestions on comparison tastings to consider. Beyond this, take time to understand the Systematic Approach to Tasting and read up on the specifics in the course materials. I took it for granted to some degree that I had this down, but there were some changes to the specifications on how tasting notes were supposed to be written at around the time I took Unit 3 and this caused quite a bit of confusion for students—myself included—in the lead up to the exam. You don’t need the added stress of readjusting your methods so close to an exam date. My study methods for Units 2, 4, 5, and 6 were pretty straightforward—take the provided study guides and commit them to memory. This was enough to get me most of the way there. My method was to transcribe everything onto index cards—other people I know used notebooks, typed things up, etc. Then I’d quiz myself from the cards. Since I would literally fall asleep at my seat if I tried to study them while sitting at home—no joke, my head would quickly start to bob—I would take the cards on long walks around Central Park. Studying on my feet really works for me—it also provides the added bonus of working in exercise. If you try it, just make sure to go someplace you’re not going to get run over by cars or bikers. I also found making spreadsheets to be really helpful for seeing patterns and drawing comparisons. This method was particularly good for studying numerical data, legal requirements and production methods. On a couple of occasions, my study group made collaborative spreadsheets using a shared google doc to essentially crowd source information between our ourselves and get more covered at a faster pace. I focused primarily on the provided materials for those units, but there are times when you need additional clarification. (At least, this was the case while I was taking the diploma classes which was between 2013-2015) For those times when you need to go a bit further, the Oxford Companion (available online with a subscription to Jancis Robinson’s site), GuildSomm.com, and Wine Searcher are all very helpful. YouTube can be incredibly helpful, as you can find all kinds of production related tutorials here. I didn’t take enough advantage of this one. For Unit 2, one additional resource is Understanding Wine Technology: The Science of Wine Explained by David Bird, which is really helpful for clarifying a lot of the concepts. For Fortifieds, Sparkling, and Spirits, the one area where you absolutely needed to go outside the materials was for producer information. The study guides will list producers you should know about and you need to go search out enough information to be able to speak about them with reasonable depth. Typically, one will show up as a question on the exam—for example I had “Veuve Clicquot” on my sparkling wine exam. There are quite a few producers listed in the study guides, so it can be an overwhelming amount of information to find on your own. My study group again came in handy to help make this more manageable. We divided these up and we each researched and wrote up profiles on our assigned producers. We then shared these amongst ourselves to study. This was much more manageable than tackling the whole list on our own. It’s more difficult to say how to tackle Unit 3, as it is a huge amount of information to cover. Here the study guide provided is really just a guide. The Oxford Companion should be where you focus your studies, because it’s what the WSET bases its information on—so even if you know something to be out of date, if it’s in the Oxford, that’s probably what you should go on. That said, you’re going to need more info—again, all the sources noted above are useful. GuildSomm.com is amazing, and Wine Searcher can be really useful for basic info. (It's not readily evident, but they have resource sections on regions, grapes, as well as news in addition to the main search engine.) Wikapedia can also be surprisingly helpful for quick overviews and to find additional sources if you check the bottom of the page for their source links. Wine Grapes and The World Atlas of Wine are both incredibly helpful and I loved having the digital editions as they’re far more portable and easily searchable. I also like Oz Clarke's Grapes & Wines. The latest update of the Wine Bible by Karen McNeil wasn't out while I was going through this, but now that the new edition is out I'd recommend that as well. She has an engaging way of writing and my old edition was helpful to me in earlier exams. It can seem like an overwhelming amount of information to tackle. One of my instructors described a kind of a whittling down process that needs to happen to make the information more manageable. You need to take that mountain and distill it down, then distill that down further to essentials. The way to do this is by focusing on the key factors for each region: terroir related factors (location, soil, climate, as well as vintage variation), grapes, viticulture, vinification techniques, trade structures, and legal structures. Here is another place where having a study group was really helpful—we’d divide these up and write up overviews of these factors for each region. There are also a few tools available through WSET’s own website that are really useful. Their Diploma Assessment Preparation Scheme (DAPS) is essentially an online tutoring system. They put up practice questions based on previous exams—both theory and tasting—and you can submit responses for evaluation. It’s a really good way to get used to the formats, as well as to see you how you’re evaluated. Just a word of warning—don’t get discouraged by the results. They tend to be really harsh. I suspect that they’re slightly more severe in these evaluations than they are on the exams. They suggest you complete everything with as close to an exam setting as possible, but with theory I found it useful to alternately complete these under both closed book and open book conditions. Completing the essays is another good way to help focus the studying. My study group would also sometimes complete and share responses for questions and discuss them amongst ourselves. 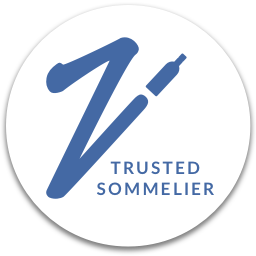 WSET also puts up Examiner’s Reports from previous exams on the website. These are in depth analyses of questions that the WSET releases looking at responses—both successful and unsuccessful—in which they discuss what they were looking for, what worked, and what didn’t. Going through them is a really good way to get a handle on the style of questions. Reading through them is actually also a really good way to review material. They now only put up the full examiner’s report for the most recent exams, but sometimes you can find them from previous students and on other sites. Also, they put up the report on any question that gets posted for DAPS practice, so it’s useful to read through the information for even those questions you don’t choose to answer. To be perfectly honest, I didn’t really make enough use of DAPS and the Examiner’s Reports in the other units, but I found them indispensable in Unit 3. On exam day my focus tends to be on getting into a positive mindset. I rarely sleep much the night before, no matter how I try, so I’ll try to do some relaxation techniques, meditation, etc. I’ll do some last minute reviewing, of course. Some people like to take sip of a dry, high acid white wine like a Sauv Blanc to calibrate their palate for the tasting portion—and I have done this at times. My not-so-secret ritual is to listen to a playlist of songs that I know will pump me up and put me in a good headspace. To add that dash of sports player superstition, the playlist has been pretty much the same short list of songs played on repeat for every tasting exam I’ve taken. When you get to the exam, take a breath, decide on a tasting/question order that works for you, then try to pace yourself so that you have a reasonable amount of time for every wine/every question. You’ll never have enough time to write everything possible to completely cover each question—I always run out and feel like there was more to say. However, the goal is to be sure to get enough points on each question. Think about allotting a certain amount of time per question and keep tabs. If it helps you, circle key words in the question to make sure you’re addressing it properly, then make yourself a mini outline for your answer on scratch paper. It doesn’t have to be fancy. I’d just make a quick list with a few key words to guide me on what I really wanted to cover. Since you will probably always be pressed for time, pick the best points you can think of to make an argument, rather than trying to get everything you know on the topic on the paper. Make sure to get in a intro and conclusion where required (only questions requiring an essay format need them and they can be just a sentence or two to count), move on as needed, and then leave yourself space to come back if you can. I’m not above drawing asterisks and drawing lines to insert points later on. Above all read the questions. It seems silly to say this, but sometimes it’s easy to miss a detail. For example, sometimes the exam will include extra details on the tasting portion and sometimes they won’t, and it can be easy to miss. On my sparkling exam there was a detail indicating that the wines had a common country of origin—a HUGELY helpful detail. A fair number of classmates missed reading this on the paper, which would have made things considerably more difficult. Additionally, try to read the question in such a way as to understand what they’re really asking for. Is it a question about wine styles? Methods? Quality levels? If you can hone in on this, it can sometimes help get you hone in on what's important. It can even help you out of a sticky situation and to gather more points even if the question is about a topic your weaker in since you can sometimes extrapolate what you know from other areas. For example, maybe the question deals with production methods for wines in a region you’re not strong in. However, you can see that among the list wines one is a bulk wine, one’s mid-tier, and one is high end. You might be able to apply what you know of these types of wines are generally made in other places. I realize this might be easier said than done. By the same token, if you write about an aspect the question is not asking about, you won’t get points. This can get tricky and it can be easy to go on a tangent. And sometimes you might go on a tangent and not even realize it. Reading and doing those DAPS question is really helpful for getting a better handle on this. Another piece of advice one of my instructors gave was to always bring it back to what would be in the glass. Typically, whatever the question focuses on, they ultimately want to know how that translates to how the wine would taste. If all else fails, give a tasting note for the wine you’re describing, while tying it in to the topic of the question. In the end, even if your answer isn’t perfect, at least you might gain some points toward the exam overall. Essentially, you can win the war even if you lose the battle. At very least, these tips might help keep you from freezing completely. All of this is of course easier said than done. Of course I didn’t always follow through on all of my “best practices” all of the time. In the end, most of us end up feeling a bit frantic at some point during the exams, just don’t psyche yourself out. If you’re going that way, take a second to breath then just plow on and give it your best shot. In general I found it to be a really good program. You will cover a lot of information at a fairly fast rate. Most of our instructors were very helpful and extremely knowledgeable. The class tastings were usually really helpful as well, particularly for regions you might have less access to. Additionally, I really valued the chance to meet other wine professionals and ended up making a lot of wonderful friends that share this same passion. Of course, you could find other ways of learning this info—reading extensively, spending time pouring over maps, working at a winery, etc—however, I myself am a bit of a school nerd and am motivated to study by a class setting. I definitely do plenty of reading on my own, but it’s unlikely that I’d spend the same time with flash cards deliberately committing things to memory with the same intensity without an external motivator. That said, I did have some gripes with the process. I’m a pretty good test taker and usually have a good sense of what is expected of me in an exam setting. This is not to say that I don’t occasionally misread questions, miss details, or hit mental blocks. I’m also certainly not immune to the occasional complete and total brain fart, causing some pretty stupid mistakes. Knowledge of my mistakes usually hits me sometime within the hour of ending the exam, leaving me to agonize over my failings until the results finally arrive—and with the WSET, you’ve got to wait quite a while. On the whole though, I’m a decent test taker and I and can typically get into the mindset of an exam with reasonable ease. However, in this case I felt on shaky ground more than I would’ve liked and found the expectations for responses a bit arcane. I discussed trying to really understand what a question was looking for above, but honestly, I found this tricky. I wasn’t always 100% clear on what they were looking for in a question. Some questions were perfectly straightforward. Other times, I’d get a ready sense of what the question really wanted (as in a quality level question similar to scenario described above), but there were also quite a few times that I felt like the questions and the expectations of responses to be somewhat cryptic. The material is hard enough on its own, without complicating things further. The proverbial ground was only made more unstable by the fact that there were some changes being implemented while I was taking Unit 3, as I mentioned earlier. There had been some changes to the specifications on how tasting notes were to be written, and it seemed that clarity on the subject was taking some time to trickle through the system and there seemed to be uncertainty down the line. This was true not only among our instructors to some degree, but even with the graders that give feedback on the online DAPS questions. To this end, I’d turn in practice tasting notes and get glowing feedback one week, would therefore repeat my methods only to get low remarks the next time for using the same format. This seemed to be a common refrain among my classmates. All of this said, I would guess/hope that these growing pains would have resolved themselves within the next couple rotations of the exams. I also grumble a bit at the turnaround time between the final class date for Unit 3 and the exam date. Now, to be fair, I’m a bit of an over-studier and I will always fill whatever time is given—and for most of the units, the timing was probably reasonable. However, for Unit 3, the final class meeting was one week before the exam. The last class was a practice test, so the last time new material was presented was two weeks before the exam. I really don’t think that two weeks is enough time to adequately study the vast amount of material—especially when you consider that most people are also juggling a full-time job. So there you have my gripes—however, please put all of this into context as I really valued my experience. Now for hurdles. There will be no lack of them I’m sure, as life has a way of just hurling them at you. On my end, my grandmother—whom I adored—passed away 2 weeks before my Unit 3 exam. It was incredibly hard to plow on studying though that. My closest study partner had a dear friend pass away around the same time. Some friends changed jobs while going through this and the learning curve of a new position can also cause studies to take a back seat. This is to say nothing of all of the regular speed bumps everyday life can put in your way—work, kids, commitments to family and friends. All of these need our attention and can drain away our focus. For all of these completely valid reasons and a millions others, it can end up taking longer to get through the 6 units than you might originally expect. This has been the case for many of my friends and study partners. It’s totally understandable, but just be sure to build in room for this in your expectations. There’s also the possibility that this might just not be for you. To move along in the program you have to defer to their framework for looking at wine, at least for the purposes of class and the exams. This is necessary of course, since taste is subjective you have to get everyone on a similar page to be able to asses wines in an academic way as an organization. Basically, there has to be common language. But maybe you have a different way of looking at things. You’ll have to put that aside and do things their way, even if just the purposes of getting through the program. That’s not always that easy. I have friend I met through the program who happens to be one of the most brilliant people I know. He studies with intense fervor and enthusiasm and he knows the regions he loves with minute details. He delves deeply into the human element behind the wines and researches the winemakers and sometime gets to know them personally. His intensity is inspiring and intimidating, but I always learn so much when I taste with him. The only problems is he sometimes has trouble staying within the WSET box and so he sometimes hits roadblocks moving forward. It only matters if it’s important to you and serves your goals. Like I said, I find a class setting motivates me to study harder and learn more, which was a big part of my goal. You might find you learn better in other ways or in different settings. You might also find that you don’t need the credential. If that’s the case, by all means, pursue the strategies that works best for you and further your interests. I also have to say that if you happen to be coupled up, it would be really hard to do this without your partner’s support. This is going to take up a lot of your time and attention. It’s probably also going to be emotionally taxing as well. I’m not going to lie to you, I had the occasional melt down during the process. There was the time I spazzed out while trying to study during our trip to Spain because I felt an exam that was a week or two away bearing down on me. Another time, I screwed up a fairly easy blind tasting the night before my spirits exam and was convinced that my husband had switched two of the pours . . . and wouldn’t let it go. I can imagine all of this would be really tough on a relationship if your partner isn’t on board with the process. I was incredibly lucky in this respect. My husband, Greg, was amazing. It helps that he’s also interested in wine, although he doesn’t feel the need to delve into the same level of geekery as I do. However, since he is interested, he’d even participate in our tasting group sometimes and would serve as the MC lining up and pouring the wines. He’d also pour blind tastings for me if I was tasting on my own— although this occasionally did leave him open to my craziness, as in the examples above. Close to exams it was also necessary to turn a benevolent blind eye to my messy piles of papers, books, and flashcards taking over our apartment. And there was a lot of take out— I love to cook, but that would pretty much come to a standstill in the leadup to an exam. It’s not necessary for partners to be involved to the same degree. I don’t even really think they need to be that into wine; but hopefully they’re supportive and don’t take it personally when you’re attention and focus are in a book or a glass for large chunks of time. On the flipside, we should probably try to be sensitive to fact that we’re not as present during these times as well. In the end, it’s a huge help if your partner is in your camp. If you’re wondering if there’s been a tangible professional payoff, the truth is that I think it’s too soon to tell. I moved from NYC to the Bay Area as soon as I was done. Like I mentioned, I got on a plane the day I turned in my paper, which was my final component. My life has been in a period of transition as I’m get established in a new city and I’m only now beginning to search for new opportunities, as well as working on some projects of my own. It's early days yet. From a networking standpoint it was a great resource, but of course, I'm now rebuilding on this front as well since I switched coasts. However, I did meet many wonderful people in the process and greatly value those relationships. Most of my tasting group + Greg. Love this hodgepodge crew and couldn't have done it without them. My primary goal was to accelerate my wine education. Mission accomplished on this front. I learned a ton about a subject that I’m passionate about. It was a huge challenge and one that I’m incredibly proud to have conquered. For those interested in tackling the Diploma, feel free to post questions. For those who have gone through the process already, I’d love to hear about your experiences and feedback. SiteMap ©Nibbling Gypsy 2014. All Rights Reserved.